Our vision, to introduce new uses to this landmark site that ensure its long-term future, remains unchanged. The British Film Institute (BFI) has been selected as the cultural partner for the proposed development. Building a world class cultural institute is a key component of the consented scheme. As part of the consent the cultural user needs to be selected by us and approved by the Council. We believe that we have secured a worthy partner in the BFI. No change to the number of residential units. Some adjustment to the residential mix and refinement of the layouts. 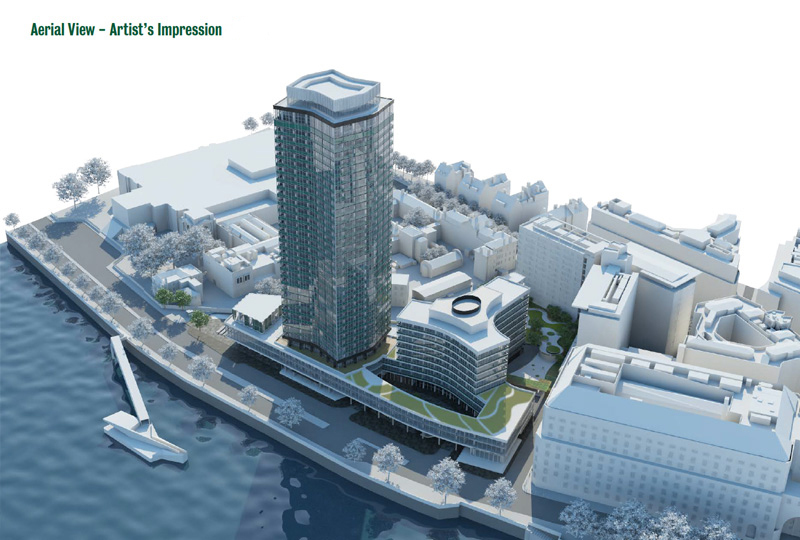 Relocation of the hotel business centre from the first floor of the podium to the first and second floors of the tower, displacing low headroom areas that were not suitable for the BFI’s brief. The hotel room count has increased as a result of this and an overall decrease in hotel room size taking the count from 150 to 228. A new banqueting hall to the rear of the Y –building in place of the existing carpark structure. 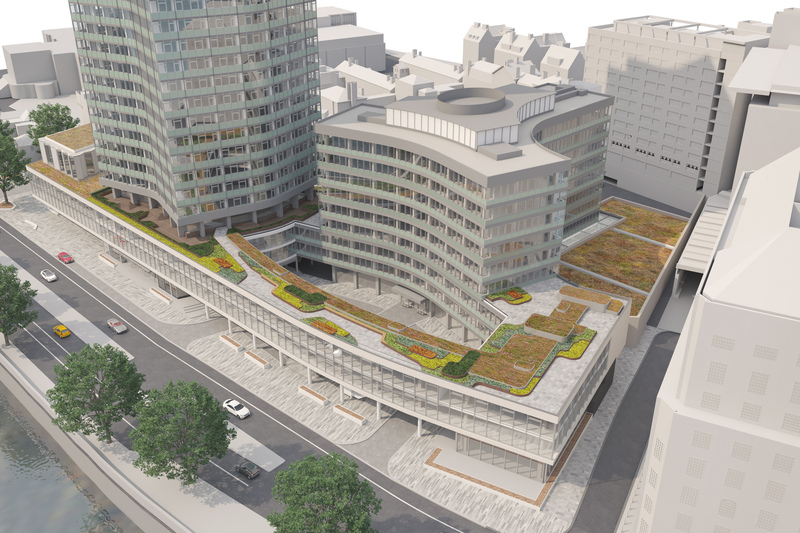 A revised landscaping and service yard design enabling more existing trees to be retained and a more natural garden to be created rather than the more artificial landscape built on top of the car park of the consented scheme.